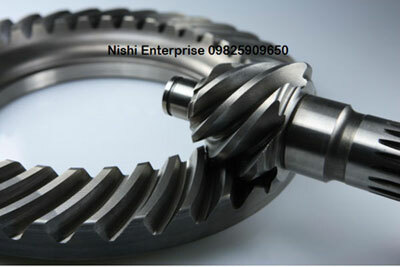 Nishi Enterprise is well known as a manufacturer of hypoid gears that come with offsets. We also offer spiral bevel gears for which we are quite well known. The spiral bevel gears can be used for transmitting power between the shafts that are generally placed at 90o orientation to one another. As a company that has got many years of experience in designing and manufacturing bevel and spiral bevel gears, we at Nishi Enterprise leave no stone unturned when it comes to creating state of the art products for our domestic and international clients. We make bevel and spiral bevel gears in numerous sizes and dimensions. Our size capabilities allow us to create bevel and spiral bevel gear products in various diameters ranging up to 48". The diametrical pitches can range up to about 1.5 for the straight bevels and around 2 for the spiral bevels. The module of these products can go up as high as 16. 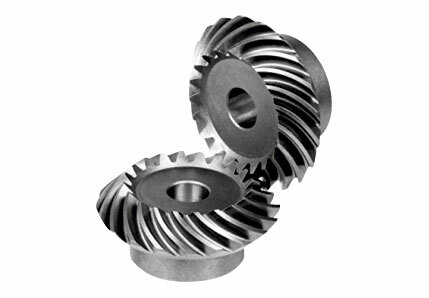 Here at Nishi Enterprise, we make sure that each and every bevel and spiral bevel gear item that we produce offers you best quality service and also come with the guarantee of long life. To ensure this, we only make use of the best quality handpicked raw materials that can offer optimum user efficiency. The various metals and materials that we use to create our products include stainless steel, alloy steel, carbon steel, brass, aluminum, bronze, gray cast iron, ductile iron, plastic, nylon, phenolic, polyester, polycarbonate and Acetal/Delrin. Our cutting edge bevel and spiral bevel gear items can be used in a wide range of applications. Some of these applications are stated below. We make use of various methods like die casting, centrifugal casting and forging to create our bevel and spiral bevel gears. We also make use of excellent finishing methods such as honing, grinding, shaving and lapping that helps to make sure that our products have a long-life span. Our products come in both flat and hex shaft models. We also stick to numerous time tested quality check procedures that ensure excellent performance for a broad range of uses and applications.